Andy Gordon has spent his life entertaining people! 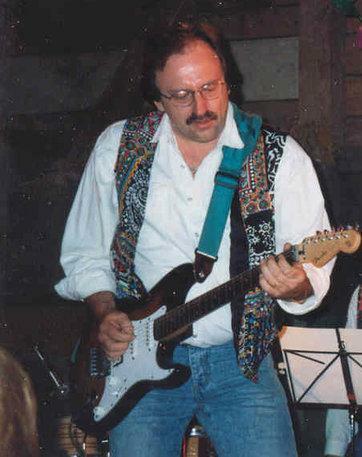 Until 1998, for 28 years, Andy was lead guitarist, arranger and compere in many dance bands. In parallel he made a name for himself as a leading DJ in the most fashionable discotheques of south Germany. His first became a regular radio presenter in 1989 at Euro Radio in Donaueschingen, whilst being guest presenter at some private radio stations in southern Germany. In 2002 he found Radio Mi Amigo online, then operating on the Canary Islands. This was a time of pioneering web-stations, operated at low-cost by music fans of all kinds. 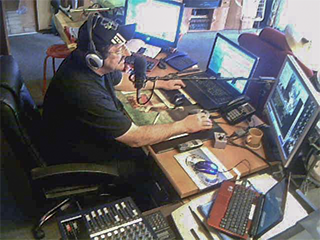 Under the leadership of Mi Amigo founder Captain Kord, he participated in the 48 hour weekend broadcasts (Friday 00.00 to Sunday 00.00) alongside many online contributors from Germany. After moving Radio Mi Amigo to Spain’s Costa Blanca in 2006, Kord and Andy decided to work together on a regular basis. Andy founded the Radio Mi Amigo BRD Bodenseestudio and today produces and presents weekly programmes, such as the German Schlager Parade, the Mi Amigo Bodensee frühschoppen, the Airport Party, plus Christmas and Carnival specials, commercials, jingles and much more. Andy's current show 'Oldiethek' can be heard Fridays 11.00 hrs [cet] on shortwave on Radio Mi Amigo International and worldwide on the Internet!